With an uncompromising attitude to please, your event or meeting in Patna will be given our utmost attention at Ghar Aangan. Located on the hotspot of the city Patna and only minutes away from the Railway station and Airport, Ghar Aangan provides ease and convenience to your guests and delegates. Elegantly decorated with a glorious insights, the largest function room at this hotel in Patna can accommodate up to 1000 people. With comprehensive audio and visual equipment and exacting standards in service, our professional staff will be on hand to ensure a seamless and successful event. 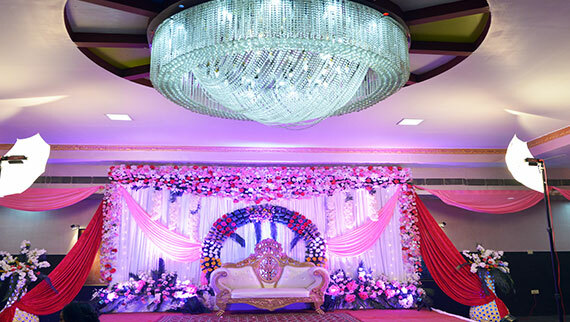 Whatever be the occasion: a wedding, a social gathering, a private cocktail party, a family outing or just that special day with friends and loved once; Ghar Aangan offers a wide range of function spaces and exclusive venues set amidst tranquil, serene and peaceful environment. Whatâ€™s more is that you can choose from a host of function areas, entertainment options, theme evenings, art + Decor settings and gourmet food to make your event a truly memorable experience.